Last Saturday I attended my first EdgeLit convention in Derby, (mainly because I was finally able to afford it). This, for those who don’t know, is a major event for writers and readers of speculative fiction and attracts some big name authors; this year their line up included Paul Tremblay, Francis Hardinge, Laura Purcell, Adrian J Walker and Conn Iggulden. I wore my Horror Tree T-shirt and met one or two who recognised the brand, as well as spending a large part of the day with two of our regular contributors – and two of the nicest people you could wish to meet – Martin Fuller and Aly Faye (she also interviews, reviews and does a multitude of good things for Horror Tree). 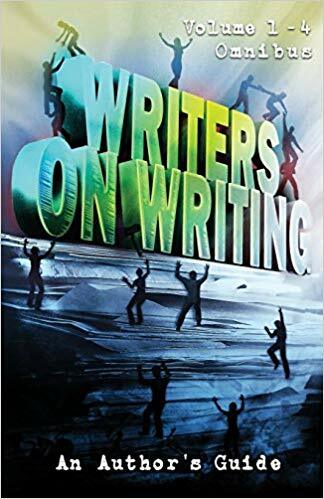 I also caught up with horror stalwart – and the person I credit with getting me writing in this genre – Theresa Derwin, and was made to feel welcome by the group that had gathered at her court. I spent most of the day attending panels featuring Paul Tremblay, Laura Purcell and Adrian J Walker and managed to get Paul to sign my copy of Disappearance at Devil’s Rock so I left happy. Even my husband – a non-writer but very supportive partner – enjoyed the day. I didn’t stay for the Gemmell Awards as exhaustion had pretty much started to set in by that point – perhaps next time. Derby also holds a Christmas version of this event, SledgeLit, and I hope to go to that as well. 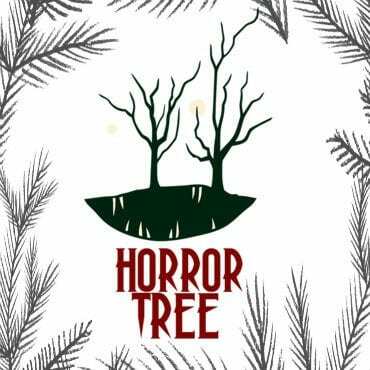 I’ll have to buy a Horror Tree hoodie though as it’ll be too cold for a t-shirt! If anyone else attends and spots me, come over and say hello. If you’ve not done this sort of thing before, take the plunge. It’s a good way to make an online life ‘real’, give your writing a boost and make you realise you are not as isolated as you think – that some people share your – sometimes bizarre – world view! Working hard or hardly working? News on the first anthology soon! We’ve got the names sorted and are slowly moving forward! San Diego Comic-Con is this weekend so I’m a bit backed up covering that remotely for side work. This, indeed, was his place of worship. As Marty pushed open the squeaking double doors that led into the auditorium, the connection between cinema and church seemed even more pertinent than usual. The architecture of the place was breathtaking. Art deco in design, faithfully renovated, the building certainly succeeded in generating an appropriate sense of reverence. Business had brought him to the area, and with nothing to fill his evening other than the prospect of a solitary drink from his minibar, he had been unable to resist the allure of the lurid posters pasted upon the building’s exterior. A horror retrospective; best of all, a double bill. An unapologetic cinephile, Marty had spent countless hours gazing up in awe at the silver screen. It was the only thing in his otherwise dreary life that came anywhere near to replicating the beauty and wonder of his dreams. As he’d purchased his ticket, he had asked the decrepit-looking pensioner serving him if the cinema had allocated seating. The old man had not been lying. Every row that stretched out before him was empty. Thrilled by the prospect of a private viewing, Marty made his way towards his favourite spot; third aisle from the front, centre seat. Perhaps not to everyone’s liking, but Marty enjoyed the sense of total immersion he experienced being so close to the screen. Slipping off his jacket, he quickly settled down into his chair. As the lights dimmed, he peered over his shoulder. The cinema, much to his satisfaction, remained deserted. Marty’s attention returned to the brilliant white rectangle in front of him. The room finally slipped into darkness. A flickering black and white film leader appeared. Marty felt a giddy wave of anticipation as the projected numbers counted down before his eyes. He was familiar with the evening’s main film. The support feature, however, was a picture he had never encountered before. Even its title, ‘Flagellum Di Diaboli”, had drawn a blank after a quick search on his phone. The prospect of rediscovering some previously lost cult classic made him tingle with excitement. The film lacked any opening credits. Instead, Marty was presented with a stark monochrome image. The interior of an ancient church. A single, unbroken shot as the camera gazed silently at an empty altar. Behind it, magnificent stained-glass windows stretched up to the building’s ceiling. Centre frame, dominating the entire scene, hung a haunting representation of Christ upon the cross. Marty swallowed. It certainly was an incredibly powerful sight. As the seconds ticked by, movement began on the left-hand side of the picture. A figure. A girl in a nightdress, shambling slowly into view. He couldn’t discern if her jerking shuffle was the result of good acting or the subtle manipulation of projection speed. Either way, it had a most disorientating effect. Marty looked away from the screen. He suddenly felt compelled to turn around and sneak another look behind him. The desire was overwhelming. Slowly, he twisted his neck and took a quick glance. A solitary figure sat in the middle of the back row. Marty spun round and sank back down into his chair. Back upon the screen, the young lady lazily inched closer towards the static camera. Marty had been witness to all manner of weird and wonderful celluloid portraits in his time, but something about the girl unsettled him. The film’s soundtrack caught his attention. There was no music as such, just a barely imperceptible drone. It took a few seconds before he realised that the sound was steadily increasing in volume. It was then he noticed the knife in the young girl’s hand. Marty shuddered as he felt an unexpected lurch in his stomach. Why this new development within the movie’s narrative should elicit such a response remained unclear. Baffled, he quickly turned, eager to try and ascertain what the rest of the audience thought of the strange visuals being presented. He let out a gasp of air. The figure had moved. It now sat just a few rows behind him. Marty blinked as he attempted to make out the person’s face. It was a man, that much was certain, but the details of his features were obscured by the darkness. All he could tell was that it didn’t appear to be the old gentleman who had sold him his ticket. Flushed with embarrassment by the irrationality of his own actions, Marty shifted his focus back to the film. The girl was even nearer now, her blade reflecting brief snatches of light as it gradually shifted in her hand. The soundtrack was rapidly getting louder. A cacophony of noise; discordant and disturbing. Marty could identify tiny threads within the whirlwind of sound. The buzz of insects, the braying of cattle. The anguished wail of an infant. When a pale, drawn face appeared at his right shoulder, he thought his heart would stop. “What do you think of the film?” whispered the man. Despite his shock at the stranger’s intrusion, Marty could not seem to quieten his inner critic. “It is difficult to remain impartial,” replied the stranger. He leant in closer. Marty felt his pulse quicken. The stranger placed a heavy hand upon his shoulder. Marty heard a whimpering. It took a moment for him to realise that he was the one making the noise. He looked back up at the scene that was unfolding before him. The wretched girl continued to crawl impossibly nearer. Marty watched with horror as the figure on the crucifix also began to move. As the cross that bore him slowly began to rotate upside down, the Christ figure stretched its mouth wide in silent protest. Marty’s shrill scream seemed to echo in perfect synchronization. When the creature stirs, all of us go silent. Burdened by darkness, trapped by the caves of our own choices, we have become the dying breath of a drowning sailor. But when the creature stirs, we silently await our orders. Prisoners to a system that doesn’t understand us, we unite in the shadows to fulfill our hearts. They beat with the same blood as the creature’s, but the creature reigns supreme. We are not in control, nor were we ever. Our impulses cannot be chemically undone. When the creature stirs, we feel a world that haunts the edges of desire. W. T. Paterson is a New England writer. A graduate of Second City Chicago and a 5 year road warrior touring across the country, he is glad to be back in Stephen King country. Author of the three novels Dark Satellites, Wotna, and the King of Cowards, he currently produces his YouTube Channel “How Would I End It?” pitching ways to tie up popular movie and TV franchises. I jolted awake one warm Summer night, sweat pouring from my brow. My mother took one look at me and knew a phone call needed to be made. The fever began draining me of life as a man draped in wrinkles and gold silk appeared at the foot of my bed. Raising his sleeve he etched another mark into his arm, dropping blood and bits of flesh into a wooden bowl. Mom mixed it with warm chicken broth and brought it to my lips. Leonard Carson, 23, 2015. An accidental case. Got too drunk on a spring break trip to southern Spain. Carson stumbled into a pothole and was paved over. Both arms were found protruding from the ground in the morning. Ontario. Latori Bates, 22. Left foot found sticking through the end of the coffin. Latori had kicked through, couldn’t pull her ankle back out. Her shroud was torn, her free leg drawn under her chin, one arm under her head – cradled herself like a sleeping baby. Maybe she rocked back and forth in the dark. Anything to try and fall asleep. A graduating student from Montana State University earning a BA in English and a long-time horror fan. In high school I decided to try contributing to my favorite genre and have loved writing ever since. I am currently in charge of blog posts and am the head website editor for a local gift company. David woke with a start. The middle of the night. It was probably his sister Jen getting home. The last month before she went off the college meant their parents let her do whatever she wanted. Closing his eyes, all he wanted was to drift back to sleep. A tap at the window. Another one, louder this time. She must have locked herself out. He got out of bed and drew back the curtains to look out the window. Yellow eyes glowed in the darkness stared back at him. Your friendly neighborhood Horror Tree editor is swinging in with another drabble! Please be sure to comment below with any of the works that you like and share this post on any social media site which catches your fancy!